Rajasthan specializes not only in their unique choice of ingredients and indigenous ways of cooking but also in serving up the dishes inappropriate, well-balanced combos. These traditional combos usually combine sweet and spicy treats of different textures, so that the overall effect is nothing short of divine! 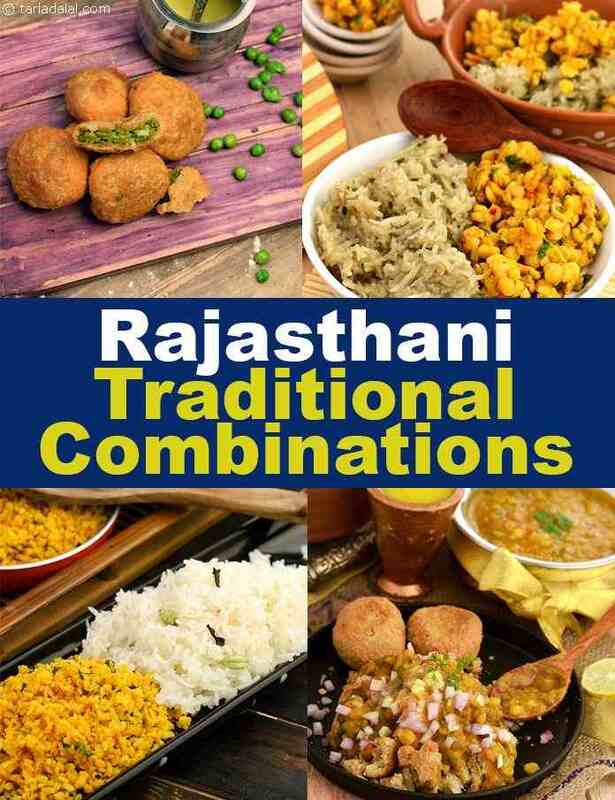 Relish the Rajasthani treats the way the locals do, in combinations like Chana Dal aur Gur Chawal, Dal Baati Churma, Raabdi with Bajra Roti,etc. Baatis are small dough balls deep-fried or baked to perfection, they are served along with dal that acts as a savory accompaniment and churma which is a sweet crumble. The combination of Dal Bati Churma tastes heavenly. You can even perk up this combination by making Masala Baati. Moreover, you can enjoy masala baati as it is because they are more or less like kachoris. If you are health conscious then we have a Baked Masala Baati variant too. Don’t get confused between Rabdi and Raabdi, they both are way too different. Rajasthani people consume millets like Bajra as they provide warmth to the body. The combination of Baajra Roti with raabdi makes use of a handful of ingredients and is sure to delight your taste buds. Apart from this, Rajasthanis even make sweet rice. They sweeten them either by using jaggery or sugar. This meetha chawal are served along with different dal preparations. The combo of Chana Dal aur Gur Chawal and Mogar Aur Chasni Chawal is tongue-tickling. Try your hands on these authentic Rajasthani combinations and share with us your feedback. If you enjoyed our Rajasthani Traditional Combinations recipes, then these other Rajasthani Recipe articles you will enjoy.